On the first Monday of October, designated as World Habitat Day, the United Nations promotes the sustainable development urban areas around the world to ensure the basic human right of adequate shelter. This year, the focus is on Municipal Solid Waste Management, that is directly related to the emission of the powerful greenhouse gas methane. Moreover, uncollected waste can contribute to the spreading of water-borne diseases, in particular in less developed countries. Between 2009 and 2013, only 65 percent of the growing urban populations were served by municipal waste collection, according to the progress report on SDG 11. 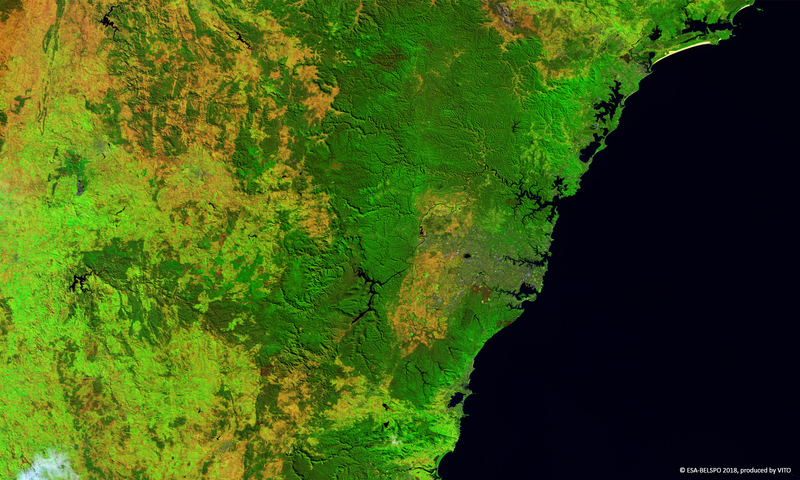 As part of its Sustainable Sydney 2030 programme, the Australian City of Sydney, shown in this false-colour PROBA-V image, adopted a number of measures to avoid waste, improve collection and recycling efforts and invest in advanced treatment to derive renewable gas. Hopefully reaching its zero-waste target by 2030.